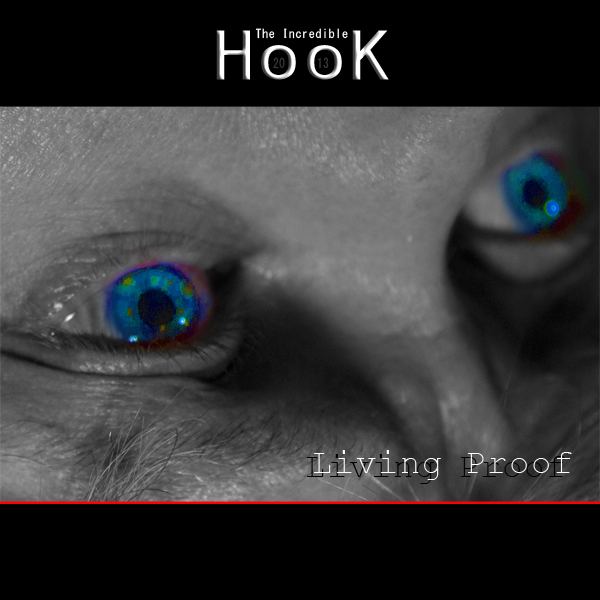 According to the band themselves; ‘HooK is original thought-provoking rock music. From pounding riffs to delicate melodies and sophisticated production balanced by simple, energetic song structures.’ The Canadian duo consists of Jay Staples and Damian Jacobs who are allegedly on a mission to play energetic and thought-provoking music. While they are certainly energetic I must say that I remain unconvinced in the area of thought provocation. With the classic up-beat rock structures the band builds their songwriting on, the foundation is laid for crunchy riffing and some rather delicate vocal harmonies. On the track “Settle For More” the vocals in particular are rather good. Whilst never reaching the highs of masterful vocalists, these two guys still manage to display enough proficiency to remain quite authentic in their soundscape, amongst the crunchy riffing and the dynamic rhythm-section. With titles like “A Disease Called Man” and “Heaven on Earth” it’s rather easy to tell that these two lads are aiming for quite a different lyrical world than your usual crunchy, riffing ‘hard’-rock band, wherein the lyrics most often put their focus on booze, ladies, partying and fast cars. Put frankly though, I am quite unimpressed by the lyrics of the record and rather than provoking my thoughts, they are provoking my sense of ‘tradition’ if you will, as I don’t think these allegedly ‘thought-provoking’ lyrics are mainstays within this particular sonic territory. In my ears, the lyrics are a distraction point from an else gritty and rock-sounding album. Of course I shouldn’t let the lyrics distract me if I think the album contains some great riffing otherwise, but that is genuinely how I feel. The only place where I actually find the lyrics extremely fitting is on the aforementioned “A Disease Called Man” where the heavy riffing fits the mood the lyrics are trying to pass on to the listener, which by definition is a successful mixture of lyrics and sound. 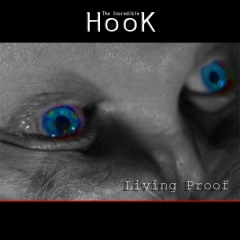 Throughout the 12 tracks on “Living Proof”, HooK does not manage to put me in a contemplative state where my thoughts have been provoked to actually take notice of many of the themes mentioned in the lyrics. Nonetheless they have piqued my interest with their sense of riffing – there are quite a few really good riffs on this album as it is. It’s a matter of taste and aesthetics in the end, and aesthetically I don’t think thoughtful lyrics are a perfect match for the classic rock riffing of this album. Nonetheless I am quite certain that others may feel quite the opposite. “Living Proof” is a decent effort from a band I might or might not keep an eye out for. Let’s see how things turn out.